The world’s first farm to use seawater and sunlight to grow food in the middle of a desert just opened. 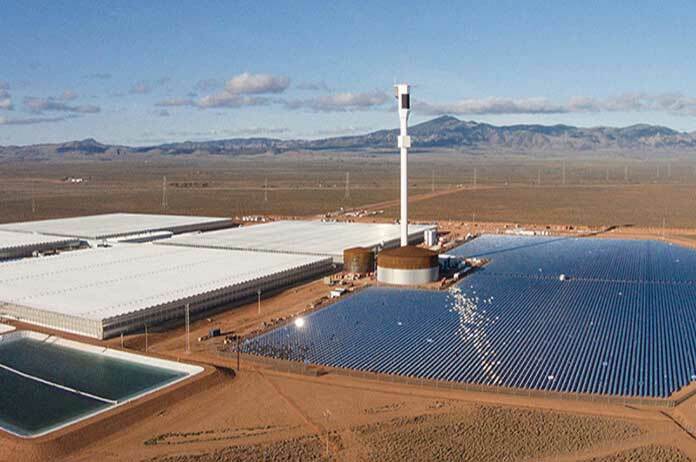 Using coconut husks, 23,000 mirrors to reflect solar power, and desalinated water, Sundrop Farms situated in Port Augusta – a desert area in Australian – works agricultural voodoo. As populations rise, the global demand for food will rise also. Although food waste needs to be curbed, since roughly one-third of all food produce globally every year is thrown out, costing roughly $680 billion dollars to industrialized nations, and $315 billion to emerging nations, there are ways we can create more food sustainably without taxing the world’s resources. Climate change, biotech company land grabs, drought, floods, and pestilence are no longer a concern for innovative farmers, though. Sundrop’s ability to carry on despite extreme weather was already demonstrated just weeks ago a once-in-50-year storm wreaked havoc in South Australia. Sundrop Farms was able to take the brunt of high winds and continue operations despite a massive blackout that crippled much of the area. This farm proves, once again, that the biotech-promoted myth of needing genetically modified food and millions of pounds of carcinogenic pesticide to grow them to feed the population, is indeed a fabrication. From smaller, organic farms practicing age-old techniques to increase yield, to this farm using the latest and greatest technology, we truly don’t need anything more than some elbow grease and imagination to feed everyone healthy, sustainable food. July 16, 2017 in OUR DANCE WITH DESTINY: The Road Up Ahead, RETURN TO EDEN: Resilient & Resourseful Living.